Many people are converted to homeopathy when it stops their renal colic and helps dissolve or pass their kidney stones. The following is another kidney stone story from India where homeopathy is widely practiced and promoted by the government. 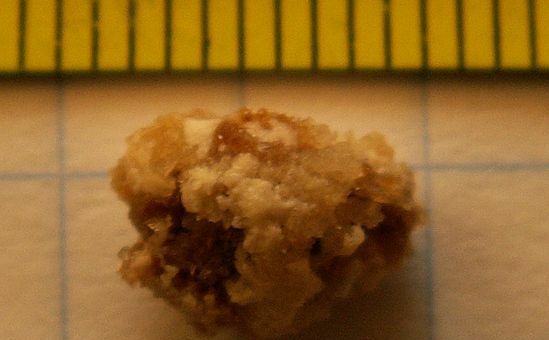 46-year-old Rekha Bai had been repeatedly told she would she would need surgery to remove a substantial kidney stone – one larger than the image beside this piece. Fearing the knife she turned to homeopathy and became another success story in the safe removal of painful stones. Read what her doctors said and did in this story from the Times of India.